Centrica, which owns British Gas, is cutting 4,000 jobs, after what its chief executive called a "weak" end to 2017. 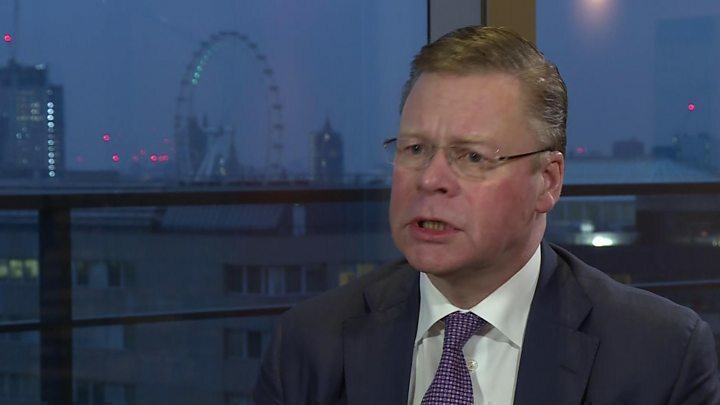 Iain Conn said plans for a price cap in the UK was one reason for the job losses, just over half of which will be in the UK. The energy supplier, which also operates in North America and Ireland, said group profits fell 17% to £1.25bn. British Gas lost 750,000 domestic customers in 2017. That amounts to a fall of about 9%, with the company now left with 7.8 million UK domestic customers. Centrica said the job losses, which are part of an extended cost-cutting programme, would fall mainly in its UK energy supply business. Investment in technology and the simplification of core business processes would result in cost savings of £1.25bn per year by 2020, the firm said. It also expects to create around 1,000 additional roles. Mr Conn told the BBC the job losses were also due to "intense" competition and partly due to customers using more digital services. But he said government plans to limit what firms can charge customers also played a part. "There is a link between our cost efficiency programme and preparing for any price cap in the UK. "We've got to be competitive and this measure means we've got to drive more efficiency." 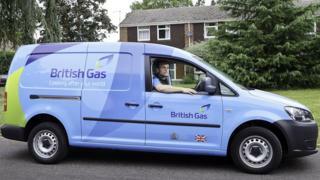 Unison, the largest union representing white collar workers at British Gas, said the firm needed to alter its strategy. The union's national energy officer, Matt Lay, said: "Staff quite simply will be devastated. "Although Centrica has already shed thousands of jobs, it's nowhere near out of the woods." Mr Conn said that the prospect of the price cap had also hit the company's shares. Centrica's shares have lost more than half of their value over the past year as politicians focused on ways to limit the cost of energy to ordinary consumers. Around 12 million UK households are charged some form of default tariff for their energy, which can cost hundreds of pounds more per year than the cheapest deals on offer. The government is planning to cap the standard variable tariffs. Mr Conn said he fundamentally disagreed with plans to cap prices, arguing it would reduce choice. "We will clearly be wanting to discuss all the details with the government. We don't agree with it. We hope it doesn't happen because we think that ultimately it will be bad for customers," he said. Despite the fall in profits for Centrica Group as a whole, British Gas, which supplies energy to UK homes and businesses, saw profits rise 3% to £572m. Centrica said that the total number of customer accounts at British Gas fell by 1,376,000, or 10%, during 2017, although it said 70% of those accounts were loss-making. As many of its customers have more than one account - for example, many households have both gas and electricity accounts - this decline amounted to the loss of 750,000 customers. Neil Wilson, market analyst at ETX Capital, said Centrica was making good progress on its cost-savings programme but the loss of customers remained at the heart of Centrica's problems. "Management has to find a way to staunch the flow of losses, which seems to be getting worse, not better," he said. George Salmon, equity analyst at Hargreaves Lansdown: "Plans to take another £500m off the cost base will help keep the wolf from the door, but cost-cutting clearly can't continue forever. "With political pressure ramping up and competition intensifying, there's definitely more headwinds than tailwinds."